Hotels are the go-to accommodation choice when you are travelling, However, not when you are visiting London. We, at Carlton Court, offer a fabulous selection of self-catering apartments that are a home away from home, this will enable you to completely immerse yourself in all that London has to offer. Take a look below to learn why you must consider staying with us when you visit London. Our apartments are situated in the heart of the city of London, Mayfair. This gives you complete access to all the diverse public transportation networks available in the city. Also, the major tourist attractions, entertainment spots and business hubs are only a few minutes away. At Carlton Court, we have a cachet of exclusively furnished apartments for you to choose from. Whether you opt for our 1 or 2 bedroom apartments in central London, you can look forward to separate areas for sleeping, working and eating. Space is not something that you have to worry about when staying with us. Travelling alone or in a group, our apartments are the perfect option for you. We strive exceptionally hard to ensure that our guests have a good time with us. 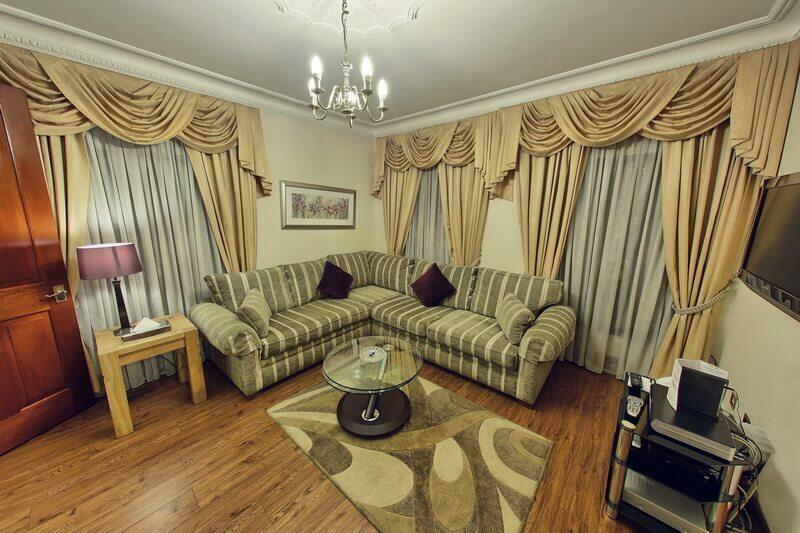 Our apartments are fabulously decorated with LCD TV’s, music systems, plush sofas, massive beds and more. All of this makes sure that you feel at home during your stay. Our apartments also have free Wi-Fi, fully-equipped kitchens and bathrooms with power showers. Our self-catering apartments allow you to spend your holiday relaxing and enjoying everything London has to offer. You can use our concierge service if you need any help navigating the capital city of the UK. Throughout your stay with us, you will also enjoy our complimentary breakfast. So, contact us and book your stay.